She worked at the University Counseling Services of Wayne State University in Detroit, and taught graduate level classes on counseling topics at Eastern Michigan University. Her professional activities included being a board member, newsletter editor, and president for the Michigan College Personnel Association. She also served on the Executive Council of the American College Counseling Association. As part of her consulting work, Dr. Tang has taught classes and supervised counselors in Los Angeles, Chicago, Taiwan, Malaysia and Brazil. She also volunteered as a weekly guest of a Chicago radio talk show broadcasting to Asian countries for six years. An experienced clinician deeply involved in her community of Chicago, where she practiced for 20 years, she is ready to become involved in the greater Detroit area and provide counseling and psychotherapy to help individuals and families heal and achieve their potentials. 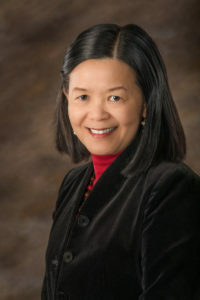 Check out Dr. Tang’s Profile on Psychology Today – Click Here!